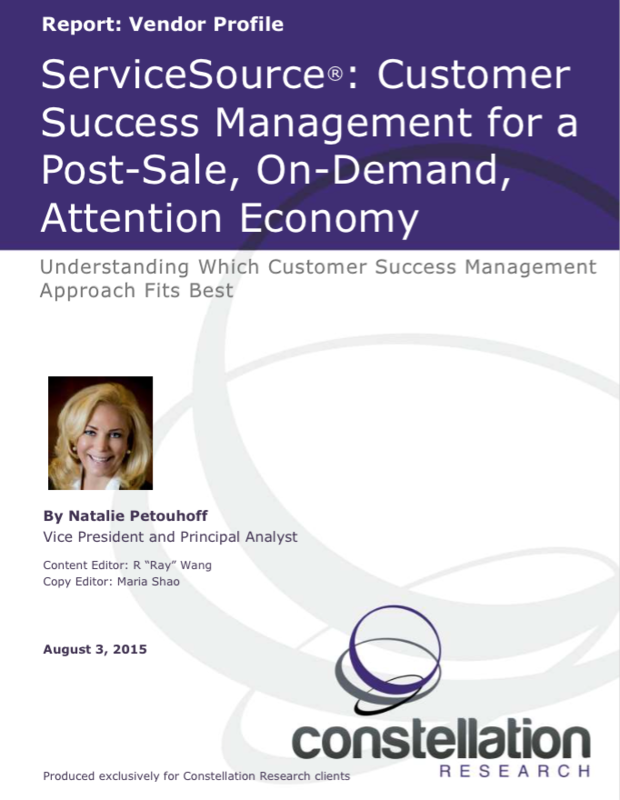 ServiceSource: Customer Success Management for a Post-Sale, On-Demand, Attention Economy | Constellation Research Inc.
ServiceSource® provides B2B companies with technology- enabled services, cloud software and best-practice processes to improve customer success, drive revenue growth and decrease churn from existing customers. ServiceSource’s solutions help companies manage the end-to-end customer revenue lifecycle, including onboarding and adoption, upsell and cross-sell, retention and renewals. This vendor profile provides an overview of ServiceSource® and identifies key differentiators, product offerings, and a short list guide for buyers.